If your case involves some sort of documentation, chances are you would need the service of a forensic document examiner. This is especially important in the practice of probate (wills and trusts). You might also need such expert if you handle a contract litigation where the opposing party says they did not sign a particular document. This type of expert might also be needed in disputes involving the origin or provenance of certain documents. Whatever the particular details of your case may be, make sure you entrust your case to the right witness. 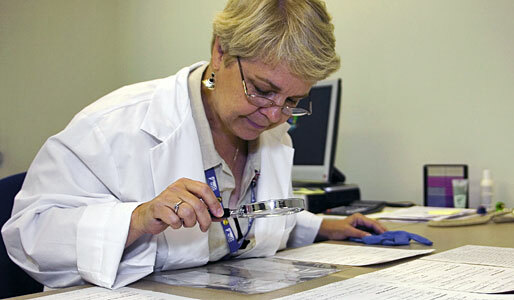 Sadly, there are many people claiming they are a forensic document examiner. Let’s face it. Almost anybody can hold themselves as an expert. However, very few of them actually have the credentials and expertise of a real forensic document examiner. It’s very easy to put up a website and hold yourself out as some sort of expert. Indeed, real experienced and competent service providers might look downright amateurish to prospective clients due to the low quality of their websites. Too many prospective clients overlook the right choices and get taken in by less than stellar ‘expert’ witnesses. Litigators and law firms get in over their head and end up compromising their case’s chances of victory because they got taken in by a slick professionally designed and developed website or an equally stellar-looking LinkedIn profile. Make no mistake about it, if you do things by the seat of your pants and fail to look for an expert in a systematic and methodical way, you might end up wasting a lot of precious time, effort and energy trying to find the right expert. What follows is a set of practices that constitute the worst ways to find a forensic document examiner. To ensure that you don’t’ waste any time in your search for the appropriate expert, make sure you don’t commit the following mistakes. Sadly, way too many litigators, regardless of experience, still fall for these traps. In a typical case, there are certain points during the litigation process where you are pressed for time. It seems that there are just so many people making demands on your time. It’s very easy to get frazzled. This is very understandable. However, if you get desperate, you only have yourself to blame. Desperation is not understandable. Being stressed is. Know the difference. One desperate act you can make is to find an expert based solely on random word of mouth. You don’t really know who referred that person to you and by a certain point in time, you don’t really care. This is a sure recipe for disaster. Make sure that even if that expert was referred to you, you still cross referenced that expert based on other indications of expertise. Look for a track record. Look for the firms or corporate entities that person has provided expert testimony in the past. Look for any type of lawsuits filed against the expert. There are just so many background checks you can make on a person who is referred to you by random word of mouth. Don’t take a random word of mouth at face value. You need to take additional steps and ensure that you are truly dealing with an expert. Don’t immediately jump on the opportunity, if somebody told you that you can find a great forensic document examiner on LinkedIn. If you can, try other avenues. However, if you feel that there is really no other choice, then you can start with a LinkedIn search. Nevertheless, don’t stop there. Look for a state accreditation. Analyze the past cases this person has been involved with. LinkedIn provides you with an initial set of prospects, but use traditional methods of doing the proper background check on your prospects. This way, you prevent any unnecessary surprises down the road. There is no shortage of local bar associations who are ready, willing and eager to recommend a document examination expert. Some local bar associations charge a fee, but most don’t. Whether they ask for money, you need to ask cross references. Ask for the list of law firms who have retained that particular expert in the past. Don’t’ just ask for the list. Actually, pick up the phone and talk to those attorneys who have worked with that expert. If you work in a law firm, there are many attorneys who have more years of experience than you. Tap their years of experience by asking them regarding a lead for a forensic document examiner. Even if they don’t have a direct lead for you, but they might refer you to somebody who has one. Keep working on your networking. Eventually, it will lead to somebody who knows somebody. Again, just like with all the other recommendation listed above, don’t stop there. Don’t immediately conclude this expert is trustworthy; just because somebody in your office (somehow and someway) is directly or indirectly related to the recommendation of this forensic document examiner. No. Don’t do that. Instead, make sure that there is independent corroboration regarding the person’s expertise and capabilities. Otherwise, you are only fooling yourself. Otherwise, you are opening a potential can of worms which may lead to serious headaches in the foreseeable future. The worst part is you only have yourself to blame. Keep in mind the tips above. These are nightmare scenarios. Don’t do them unless you want to land in legal hot water in the foreseeable future.